dopl3r.com - Memes - Sibling relationships are strange. Id give them a kidney but you arent borrowing my charger. Sibling relationships are strange. 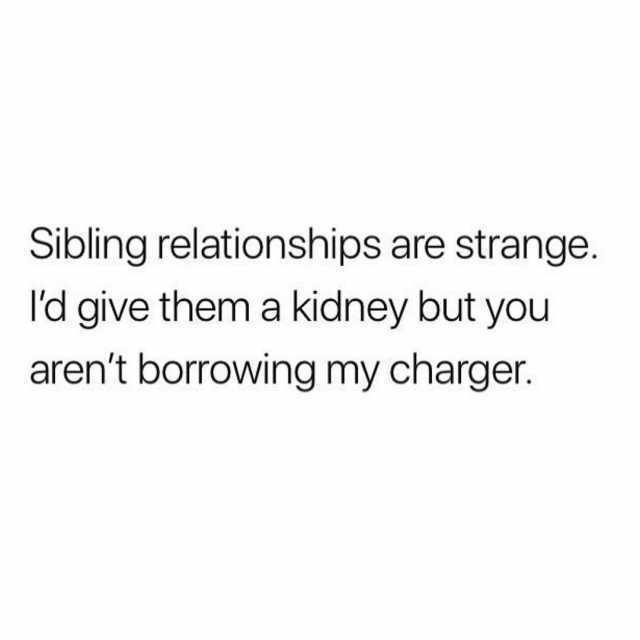 Id give them a kidney but you arent borrowing my charger. Im grateful to be in a healthy long-term relationship with coffee. You need to Tips to keep your relationship strong bein a relationship first.